"Today we are helping to make the world a better, cleaner place," Imperial Beach Resident, Nabile Gutierrez, told NBC 7. "It is concerning. 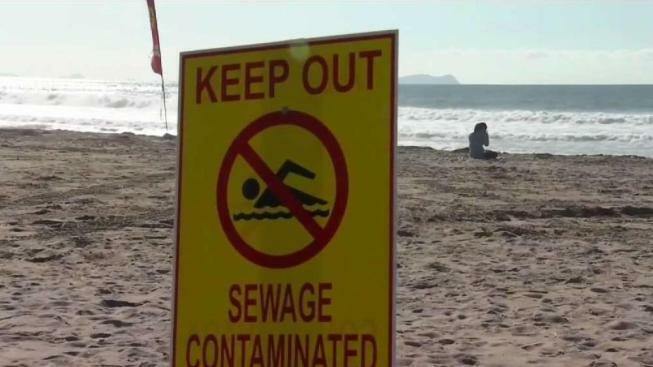 This is where my son comes to visit the ocean to play around on the beach and it is pretty concerning," said Gutierrez, referring to the ongoing pollution troubles in the area. "We will continue to fight for clean water and beaches," exclaimed Dedina over a megaphone. "We don’t know what pollution is in that sand," said Christine Vella, a longtime Imperial Beach resident. "If this was next to their town, this wouldn’t be happening. These politicians just don’t get it. Maybe they should come down there and live with us for a few months and what we breathe on a daily basis," said Vella.